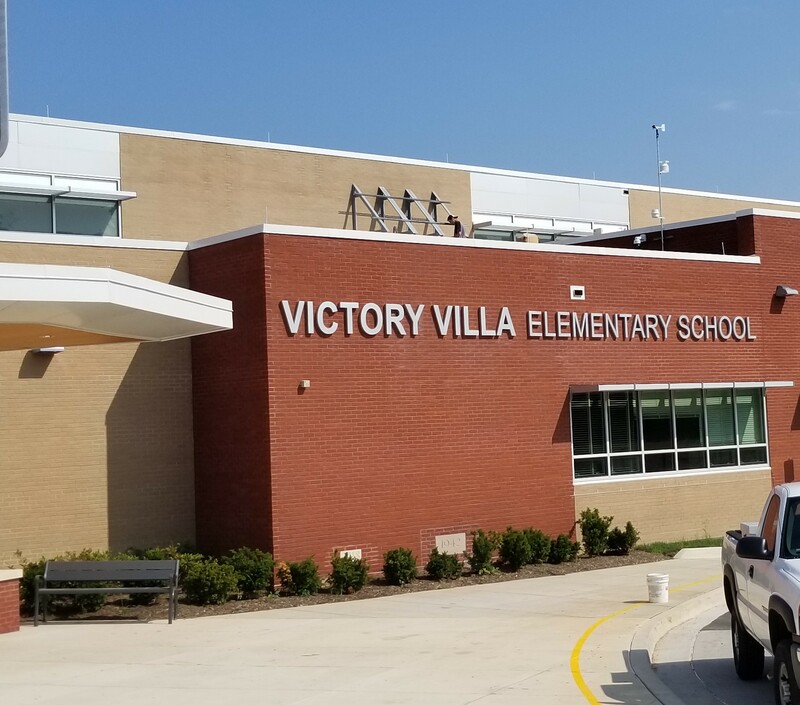 Victory Villa Elementary School, located in Middle River, Maryland, welcomes a brand new school building after tearing down their old structure. This new two-story, air-conditioned building is approximately 97,000 square feet and includes several updates to enhance the environment for the students. The new building is part of a $1.3 billion renovation plan to help decrease overcrowding in several Baltimore County public schools within the area. The new school holds almost double the capacity of students that the previous building did, creating a safer environment for both the school teachers and students. Leonard Kraus Company’s involvement in this project included light gauge metal framing, sheathing, non-structural framing, drywall, and insulation. There were also some specialty items like column covers, Rulon wall panels, Knightwall system, and sound absorbing wall panels that were incorporated into the work that was performed by Leonard Kraus Co. This project was fast-paced and completed in a very short time due to the fast-approaching school year. Victory Villa Elementary is one of many Maryland schools that Leonard Kraus Co. has been fortunate enough to be a part of.